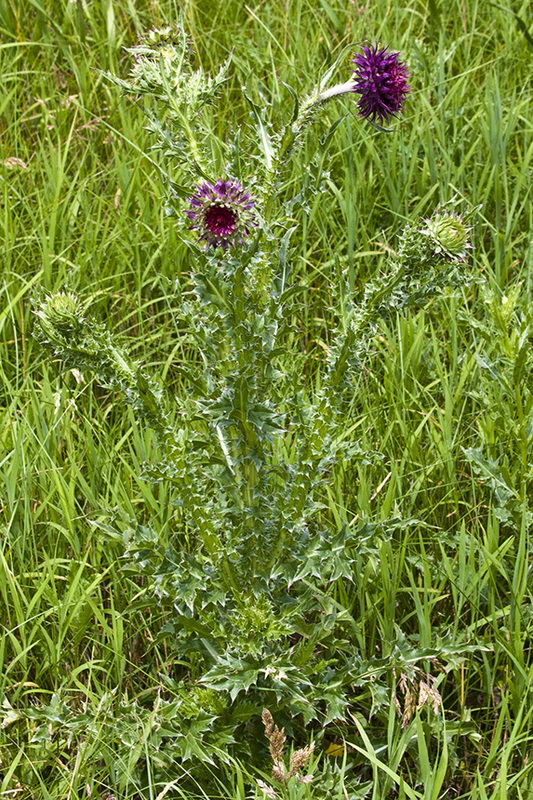 Introduced annual to biennial herb with stems upwards of 1.5 m tall, the capillary bristles reveal this is not a species of Cirsium and the broad involucral bracts (phyllaries), over 2 mm wide, readily distinguish this species, common in disturbed sites from low elevation to mountain meadows. 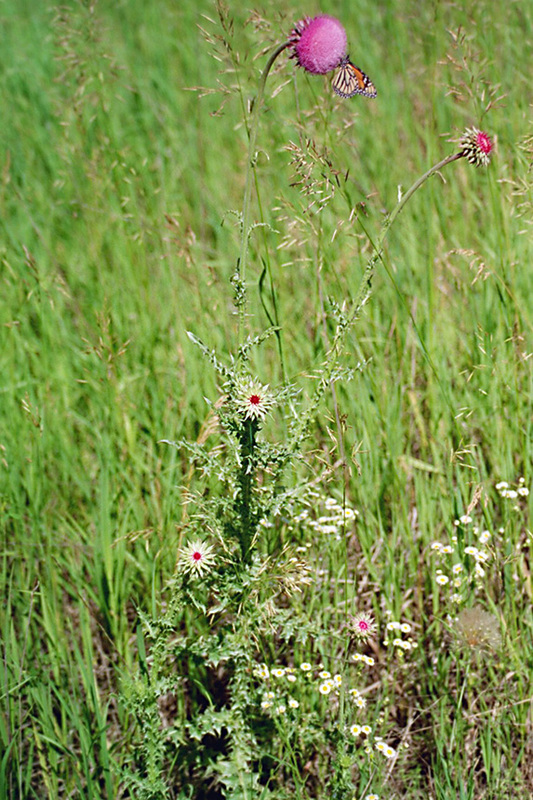 Uncle Steve turned around and went back to view this beautiful but "dangerous" plant in blossom on Highway 64 west of Siler City, Chatham County, North Carolina. 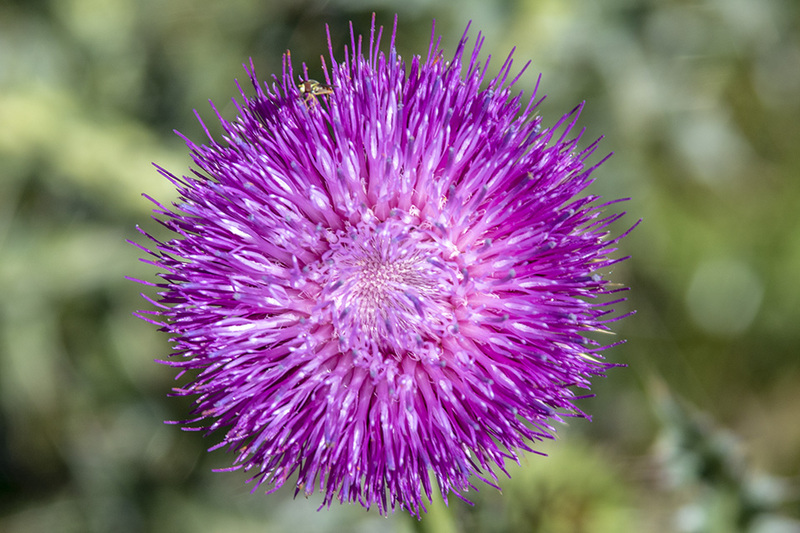 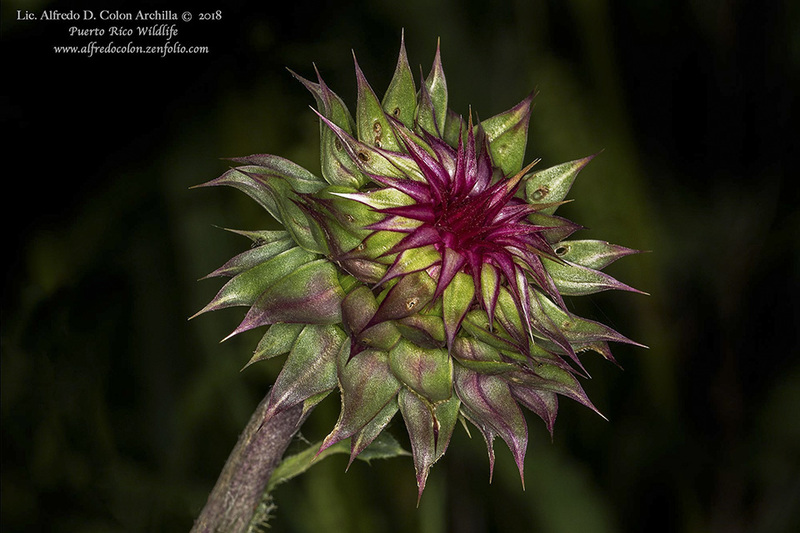 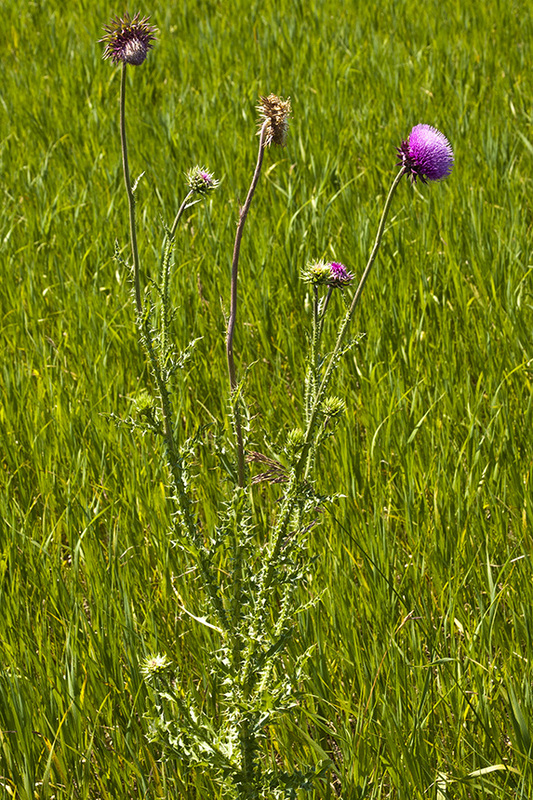 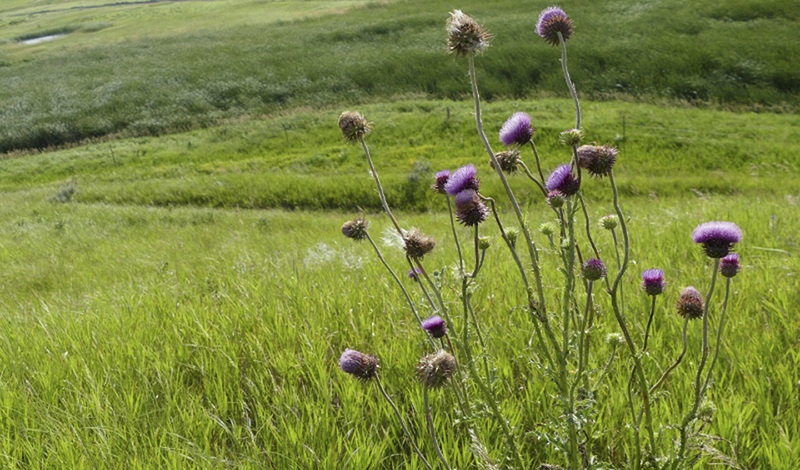 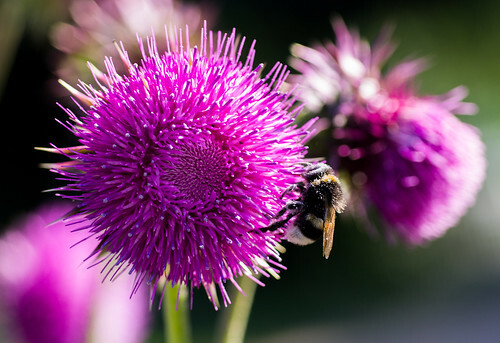 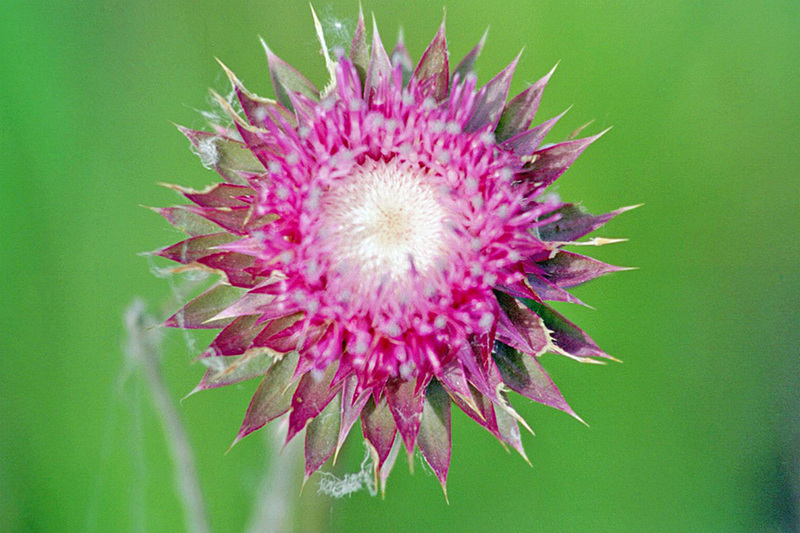 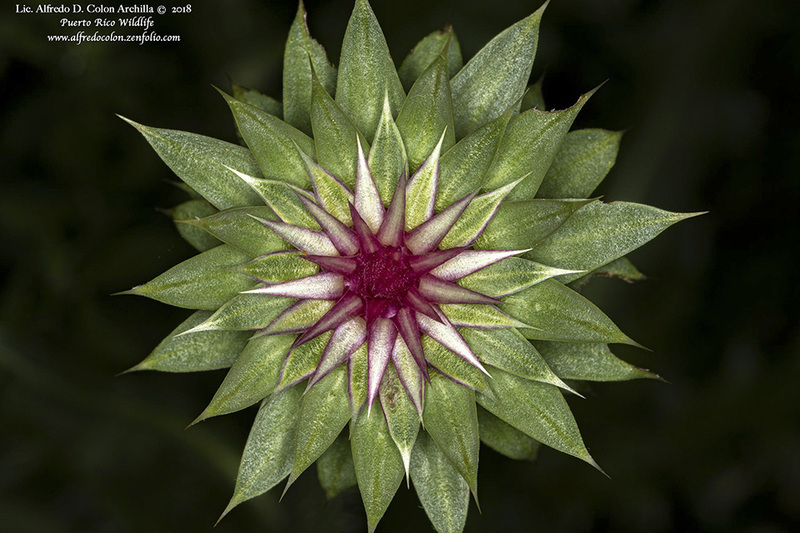 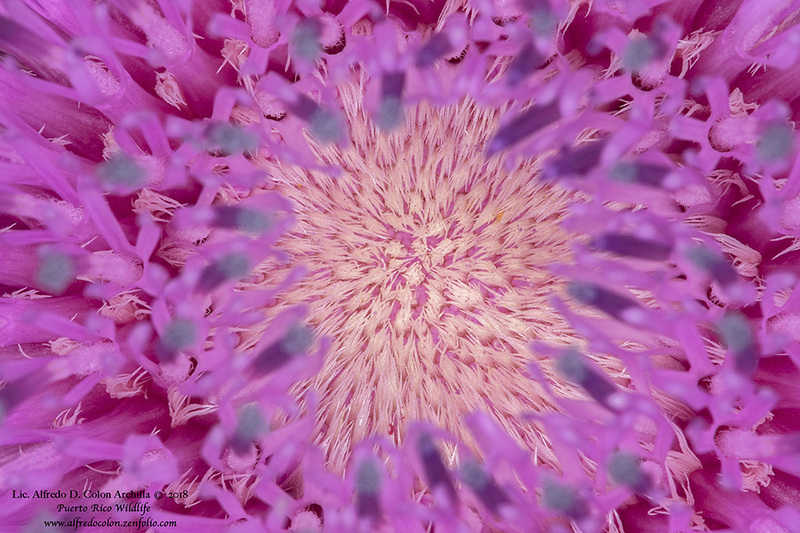 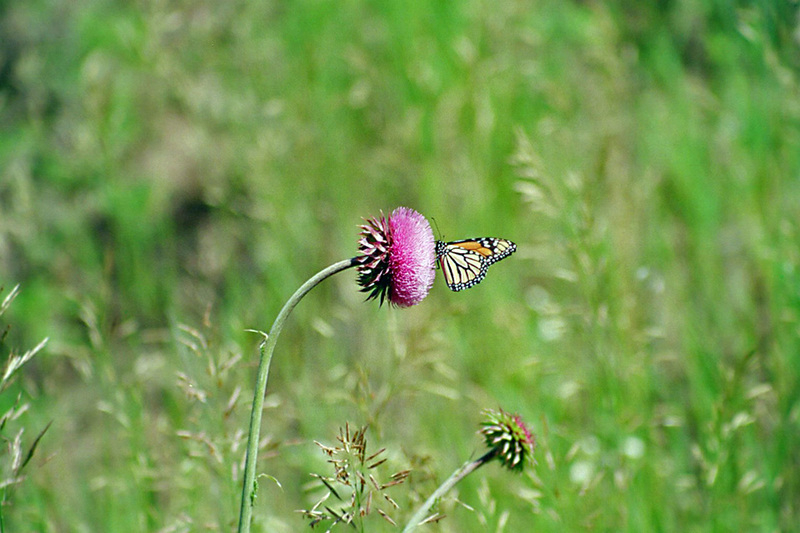 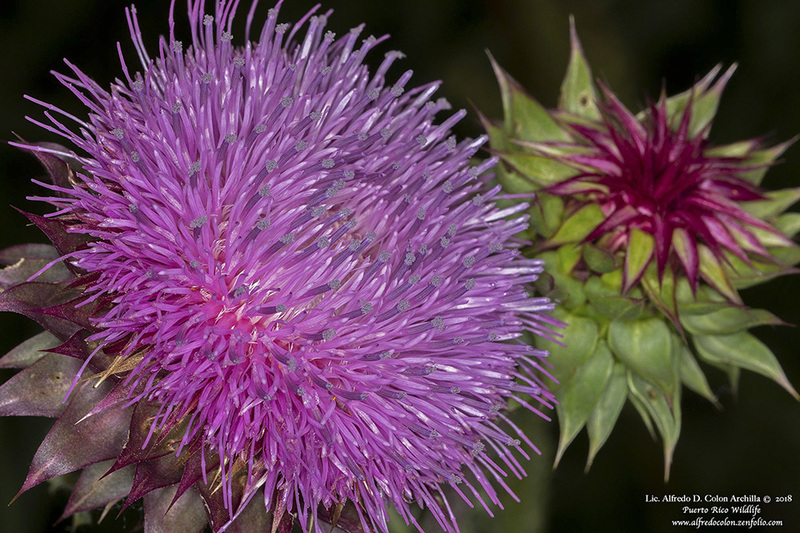 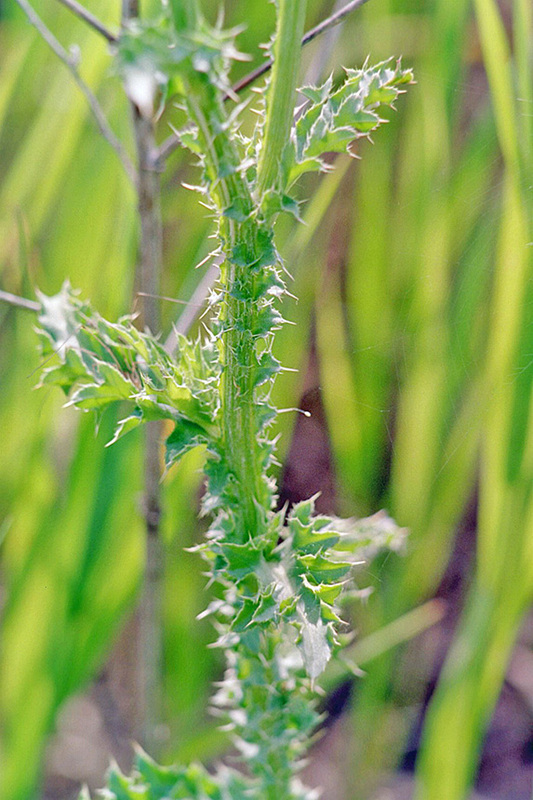 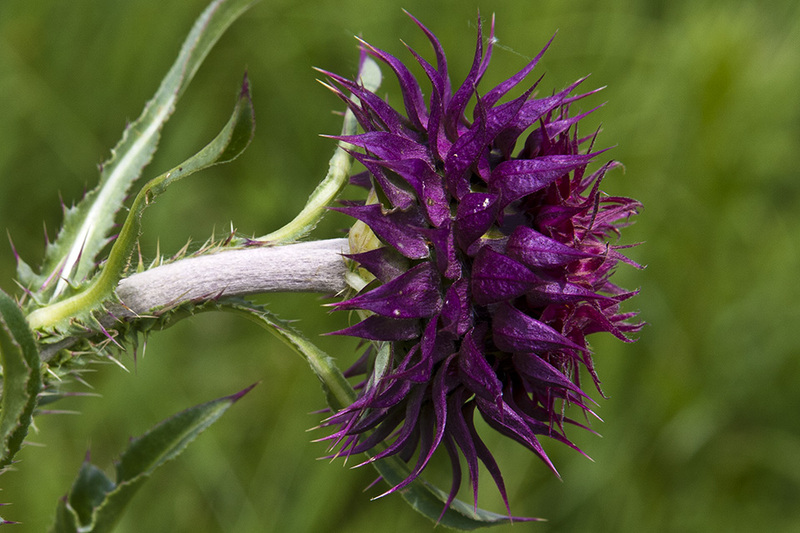 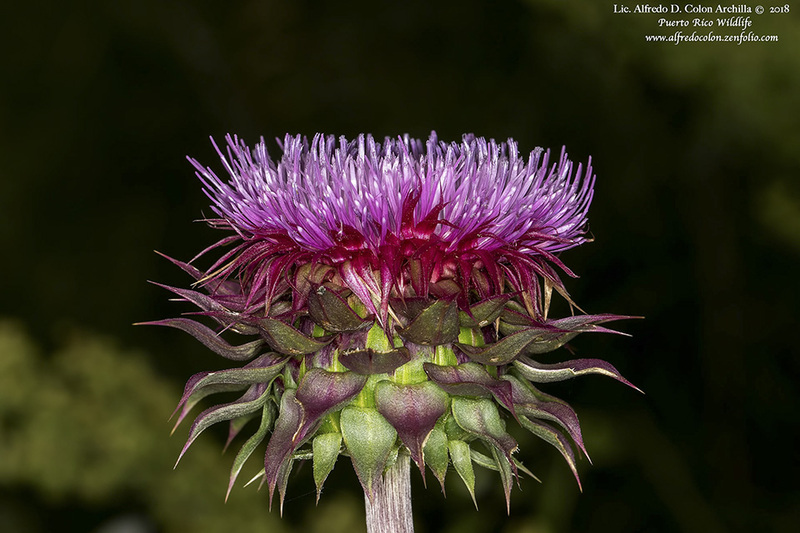 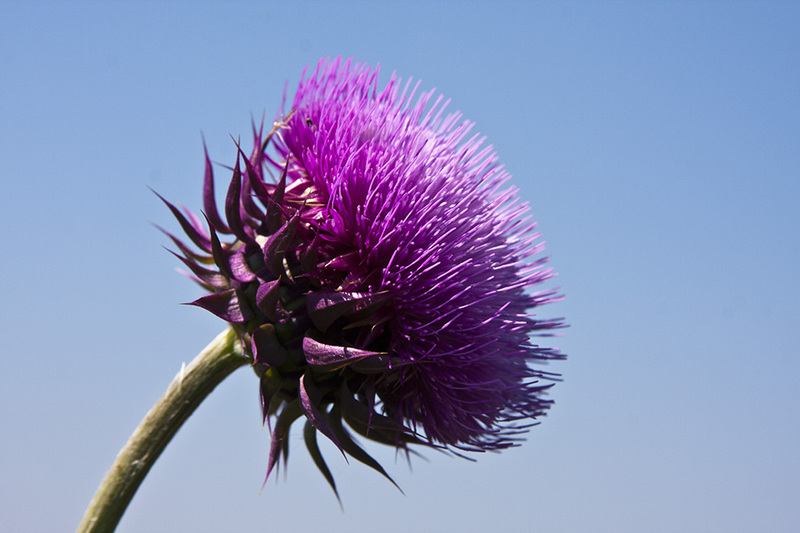 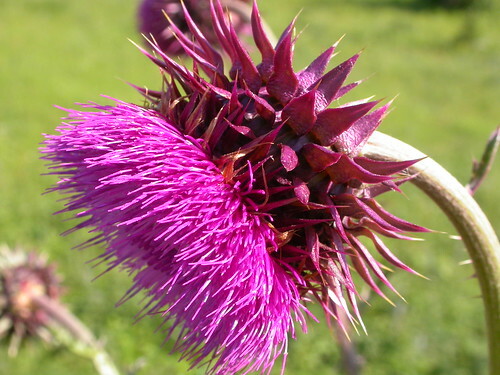 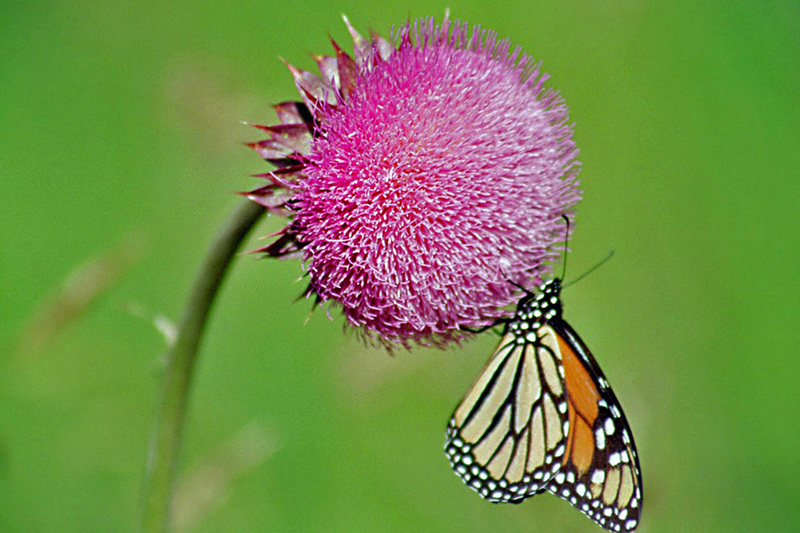 The species: Musk Thistle Carduus nutans L.
The Musk thistle or Nodding thistle (Carduus nutans) is a member of the sunflower family Asteraceae.